Inspiring Ideas with artist Jeanne Winters: Christmas Photo Cards 50% off!!!! Christmas Photo Cards 50% off!!!! 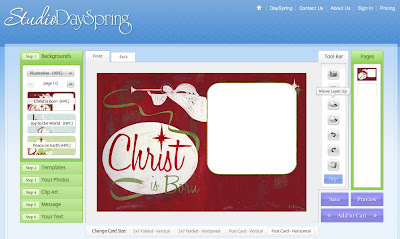 Hey - Happy Thanksgiving AND quick post to let you know of a fab offer I just heard about from DaySpring - they just launched a web site for personalized cards and stuff. They are giving 50%!!!! off cards to YOU if you order before Dec. 1st!!! (Min. order of 50 cards.) This is their "Staff Discount" and they're letting US in on it!!! Way cool! 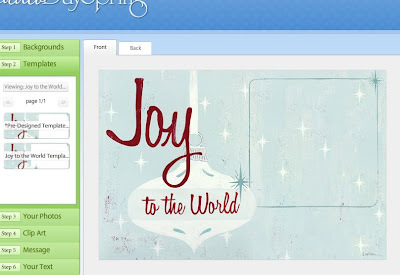 This new site is Studio DaySpring and it's just beautiful! Enter "Staff50" at checkout!! Hurry!! 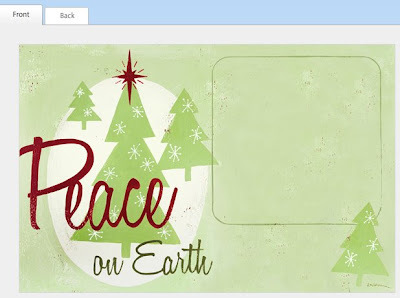 I just have to say I am SOOO excited about this site because they have the most amazing selection of Christmas cards that REALLY CELEBRATE CHRISTMAS!!! You will LOVE the styles and customizations they've come up with. OKAY ... Did you notice anything familiar in those pics???? Yes - isn't that way cool?? These three card options are from MY ETSY art!!! WooHoo!!! Of course, they have TONS of other gorgeous cards of all styles and colors, but I just had to show you mine!! Tee Hee!! And one last plug: still time to enter my HUMUNGO Hallmark Gifts giveaway!! Thanks Jeanne. This is great!